During 2017-2018, the Science Department will be involved in research about NGSS and changes it represents to teaching and learning: how can we move from current AERO standards to NGSS, how can we design assessments around core idea, cross-cutting concepts, and practices, etc? 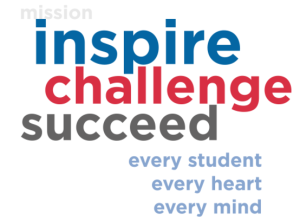 The design and documentation of Learning Targets is a school wide goal for the 2017-2018 school year, supporting the “Be Successful” aspect of Graded’s Strategic Plan, specifically around a cohesive, viable and vertically-aligned curriculum. 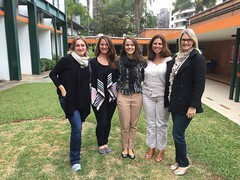 The blog post Learning Targets: What Can You Learn from ELA Curriculum Renewal explain the reasons why learning targets support student learning and also vertical/horizontal alignment conversations. 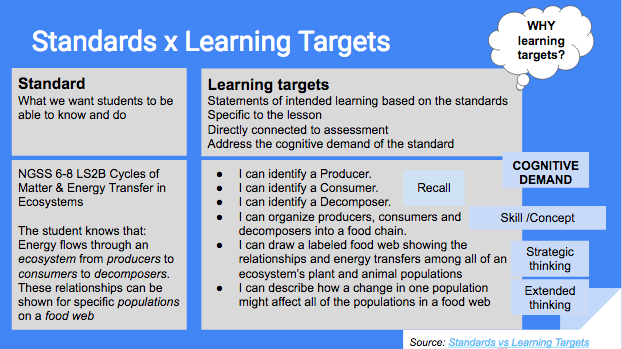 The example of learning Targets below is from Standards x Learning Targets ,Tacoma Public Schools. 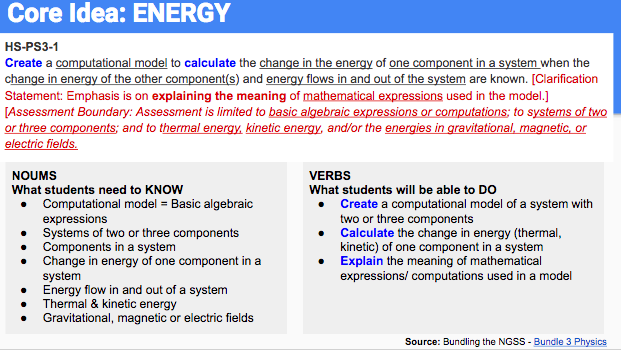 A helpful resource to support writing of Learning Targets is written as “observable features of student performance” within NGSS documents, for example the Bundle 3: What Happens When Energy Moves from One Place to Another?. NGSS provides bundle suggestions as a way to prioritise and organise standards (Bundling the NGSS). 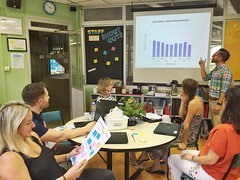 This presentation on Prioritising Standards provides the guidelines for making some standards the focus of teaching and assessment, while other standards represent support for learning. 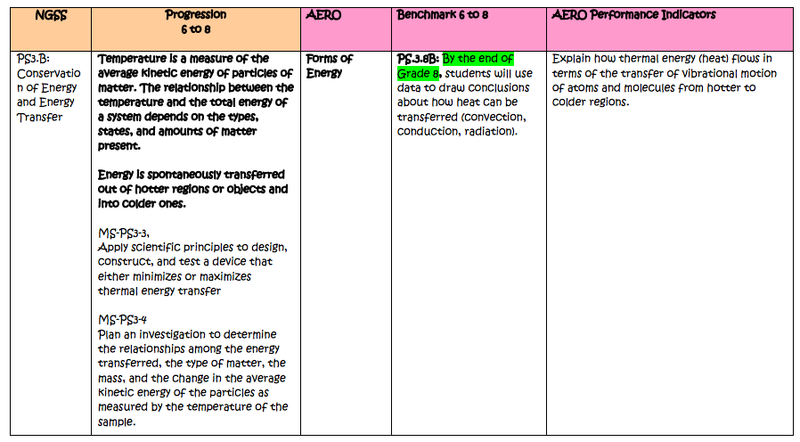 After prioritising and unpacking NGSS standards and discussing what students need to know and be able to do (verbs and nouns), you can check against these observable performances.